(Reuters) – In a desert tent guarded by armed police and a thick-set bouncer, Laxmi Narayan Tripathi is blessing a constant stream of pilgrims, who garland her with marigolds and kneel to touch her feet. 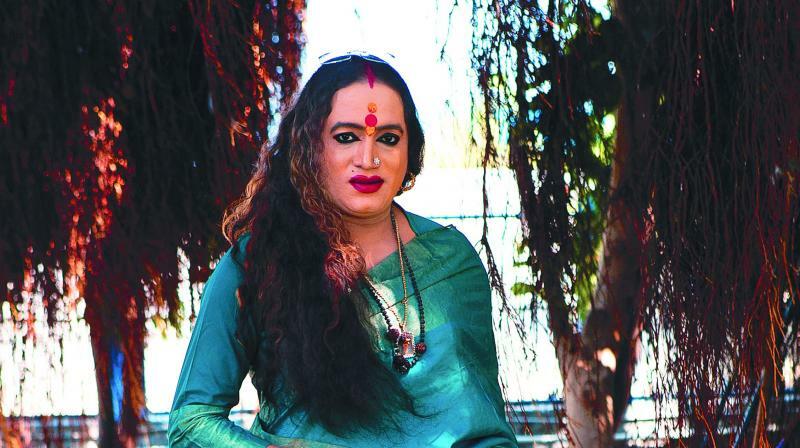 Tripathi, a tattooed transgender leader, and a former reality TV star, has become an unlikely icon at India’s Kumbh Mela, a huge religious festival being held on the banks of the Ganges river in the city of Prayagraj. Up to 150 million people are expected to attend by the time the festival ends in March. “After centuries down the line, it was when the community finally got its due”, Tripathi told Reuters, seated on a pedestal next to her Michael Kors bag, juggling calls on an iPhone. Many at the festival cheer Tripathi for reclaiming the lost place in Hinduism for India’s ‘third gender’, known as the hijras, worshipped as demi-gods for thousands of years, but ridiculed and sidelined during British colonial rule. “We are not celibate”, she said. “We are demi-gods, not saints. We have our own rules”.